Thank you for supporting Huntsville Mom Prom Sponsors! Multiple ways to donate: monetary sponsorships, in-kind item donations or a mix of both! 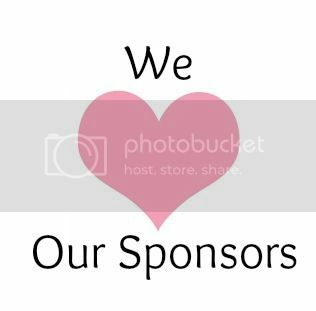 You are invited to officially sponsor the 5th Huntsville Mom Prom benefiting the Huntsville Chapter of the International Cesarean Awareness Network (ICAN of Huntsville), a 501(c)(3) nonprofit organization. This event will be held at the Jackson Center in Research Park on June 8, 2019 from 7pm until 11pm. Detailed sponsorship information is below. In four years, Huntsville Mom Prom has raised over $22,000 for ICAN of Huntsville to help our community. The primary goals of the 2019 Huntsville Mom Prom is to expand the number of recipients and long-term sustainability of the ICAN of Huntsville Doula Grant for Expectant Mothers and to continue supporting ICAN’s mission locally. Since 2015, we’ve awarded 15 grants to local mothers. We look forward to awarding more in 2019 and beyond. Thank you to all who have sponsored or attended Huntsville Mom Prom! Your generosity continues to help ICAN of Huntsville serve the women in our community. Introduce your products or services to hundreds of women with your Huntsville Mom Prom Sponsorship! Huntsville Mom Prom is one of the largest ladies only events in the Rocket City. Your sponsorship offers a unique opportunity to advertise to a large group of women in a key demographic who may be responsible for the majority of household purchases for their families or themselves. Gain loyalties from over 250 event attendees who appreciate philanthropic sponsorship by helping an organization help mothers and babies in our community. Your sponsorship also extends beyond attendees through social, electronic, broadcast, and print media and is a tax-deductible donation. Finally, your sponsorship continues to support ICAN of Huntsville’s mission to improve maternal-child health by reducing preventable cesareans through education, providing support for cesarean recovery, and advocating for vaginal birth after cesarean (VBAC). In addition to monetary sponsorships, we also welcome in-kind donations of items or gift certificates. These donations will be used as door prizes or placed in the silent auction that is held during the event. The silent auction is always a big hit and draws a crowd. Sponsorships will be accepted and processed in the order in which they are received. Huntsville Mom Prom and ICAN of Huntsville reserve the right to limit sponsorship of duplicate business types. Exclusivity is given to MLM or direct sale companies if you sponsor at the Silver level or higher before another member of the company. So don’t delay! Submit your sponsorship today! Sponsorship Value: A portion of the sponsorship level must be donated in monetary funds or approved exchange of event services. The remaining value can consist of in-kind/item donations. Unfortunately, coupon totals do not count towards sponsorship value totals. April 15th: Sponsorship applications must be received by April 15th to receive all noted benefits. Sponsorships are accepted on a first come first serve basis. Sponsorships may be accepted after this date with the understanding that not any/all benefits listed in this document may still be available. April 15th: Tickets associated with Platinum, Diamond and Gold Sponsor levels MUST be claimed by April 15th to guarantee availability. Unclaimed tickets will be released for sale to the public. May 11th: Silent Auction items MUST be received NO LATER than May 11th. Please contact the committee for drop-off/pick-up options.